In the Great Lakes region of North America where I live, Memorial Day weekend marks the beginning of the summer fun season. I especially enjoy it because we might actually have continuous warm weather now without freezing or snow! 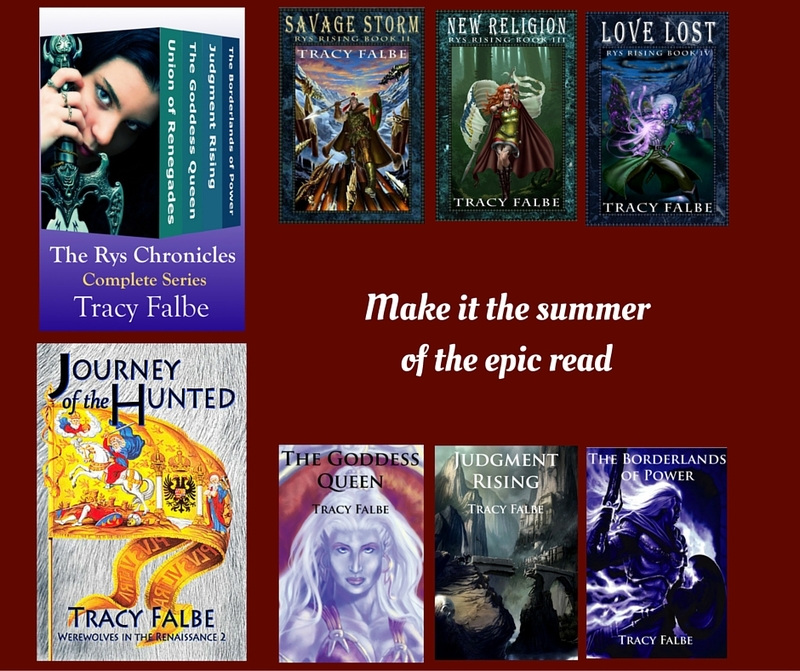 Make this the summer you read an epic series! 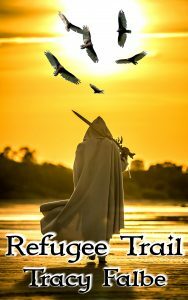 Whether you have a lovely lake house to visit or you’re stuck at work, you can spend those long summer evenings escaping to a world where the problems are much more interesting and exciting than your problems. 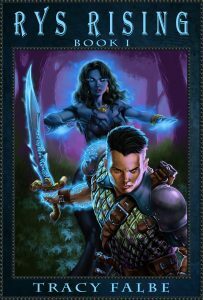 All fantasy novels are 50% through May 31st at this website. This includes all ebooks, ebook bundles, or audiobooks. at checkout and watch the prices drop by 50 percent. 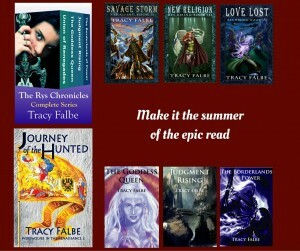 If you prefer to shop at another ebook retailer, I’m also offering reduced prices through May 31st. And remember, if you want to start a new series, every Book I is a free ebook here and at some retailers.